Almost to April now…w’re in the peak of spring break travel season, so the calendar is super busy. 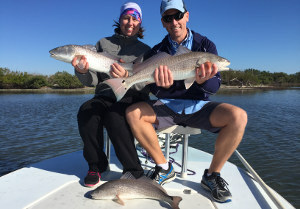 Fishing in the Mosquito Lagoon and Indian River Lagoon has been going off! 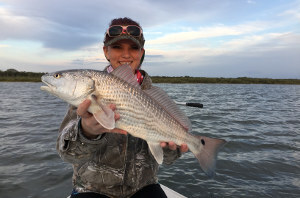 Water levels are really low and gin clear, making for some big schools of redfish. 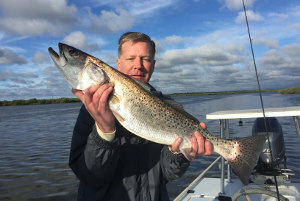 Spring bait run is getting underway and with warming temperatures the speckled trout has been really heating up with big gator trout being caught. Black drum are almost ready to spawn so there are multiple schools hanging around the Lagoons. Also catching some nice snook here and there as well. April, May and June calendars are filling fast and usually are full booked…don’t wait till the last second to try and schedule! 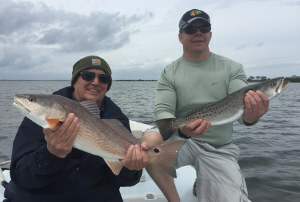 Redfish fishing in Mosquito Lagoon has been the best thing going! 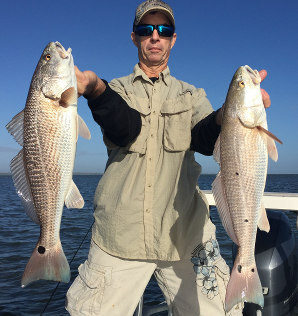 The water levels have been pretty low for a couple months now and with the gin clear clarity it’s making for big schools of redfish. Sightfishing as you can expect has been fabulous. Live shrimp and mullet have been putting the most fish in the boat. Soft plastic shrimp, jerk baits and swim baits have also been working well. 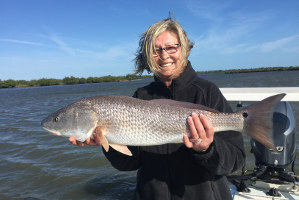 It’s been a bit windy the last week or so to look for schools of big bull redfish over 20 pounds that are forming on deeper flats in the Indian River Lagoon. Things should really take off for them during April and stay consistent through the summer. 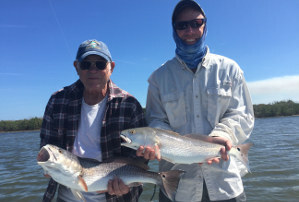 Warmer temperatures are leading to increased numbers of bait fish moving around. 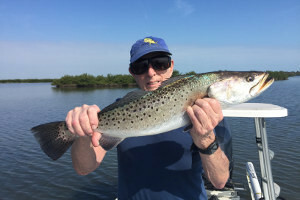 That’s a recipe for big speckled trout to get active and bite well. April and May are two of the best months to target giant trout, with higher odds to catch a trophy over 30 inches. It’s all about live mullet if you really want to catch some big ones. 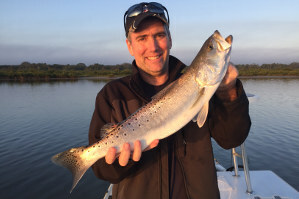 Although you’ll see a few being caught on soft plastics as well. Smaller schooling size trout in the 10-20 inch range are piled up along creek, slough, and channel edges. Live shrimp, plastic shrimp or jigs will catch plenty. Black drum are getting ready to spawn, so there are a bunch of schools in the Indian River Lagoon and Mosquito Lagoon right now. 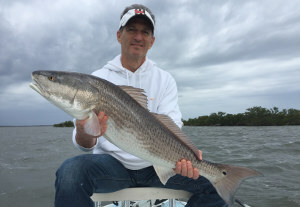 They don’t fight as well as a redfish, but they pull good and can provide a nice change of pace. 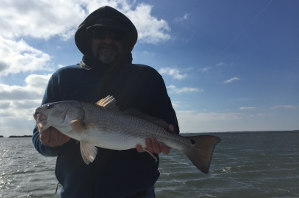 Most of the fish are in the 5-10 pound range with a couple groups holding fish over 20 pounds Live shrimp and cut crabs will both make catching easy. Snook that were schooled up over the past few months are now scattering throughout the ICW and Lagoons again. We’ll find them scattered around docks and shorelines from now through the early fall. Live shrimp and soft plastic shrimp are the two best bets before we start targeting them with Mirrolure plugs.